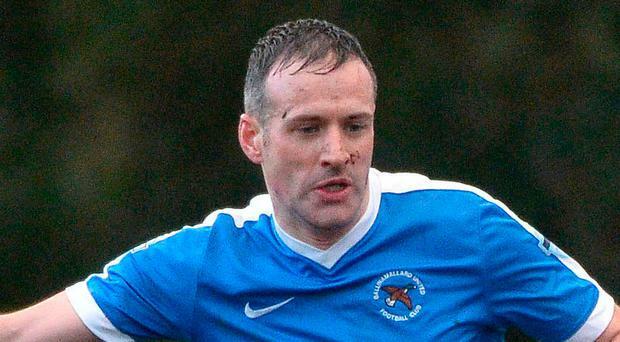 Struggling Ballinamallard United hit six of the best in a shock 6-4 win over Cliftonville last night. It was the first time since joining the Premiership that the Mallards have registered half a dozen goals at Ferney Park. The victory, courtesy of goals by Ryan Curran (2), Sean Noble, Stephen O'Flynn, James McKenna and Jonny Leddy, was the Ducks' first league win in three months and only a second all season. The Mallards produced a scintillating first 45 minutes to establish a 3-1 lead at the break. It took Gavin Dykes' strugglers 13 minutes to get off the mark. Stuart Hutchinson sent Noble galloping away on the right and he crossed for Curran to control and volley past Brian Neeson. Eight minutes later the Mallards doubled their advantage when O'Flynn carved open the Reds defence for Noble to race clear and finish with a low shot. Despite being rocked, the visitors pulled a goal back within five minutes. Rory Donnelly's initial shot from a Ross Lavery cross was blocked into the path of Jay Donnelly and he fizzed the ball low inside Richard Brush's right upright. That was as good as it got for Barry Gray's men in the first half, and on the half-hour the Mallards restored their two-goal advantage. An error by Levi Ives allowed Hutchinson to scamper clear and the midfielder crossed for O'Flynn, who fired home for 3-1. The goalfest continued after the break with Curran extending the Ducks' advantage from the penalty spot after Noble had been sent sprawling by Gary Breen. But the Ferney Park faithful's joy was short-lived. On 50 minutes Jude Winchester opened the door for Lavery to make it 4-2 and moments later Gormley galloped clear to fire home for 4-3. A 20-yard strike by McKenna gave the Mallards a little more breathing space before Gormley replied with his 100th league goal. However, it was the Ducks' night and when Neeson went walkabout Leddy sensationally lobbed home from halfway.